This year the families from Gemma’s preschool class combined forces to get the teachers gift cards to their favorite stores and restaurants for Christmas. Here’s an idea for how to package those cards and give the teachers a little something extra for all care and guidance they give our kids! Step 1. Wrap your gift cards in pipe cleaners to resemble bows on a present. Wrap your gift card vertically with one pipe cleaner, leaving a long end to thread through a drinking straw. Wrap a second pipe cleaner horizontally from behind, twisting or making a bow with the ends on the front. Step 2. 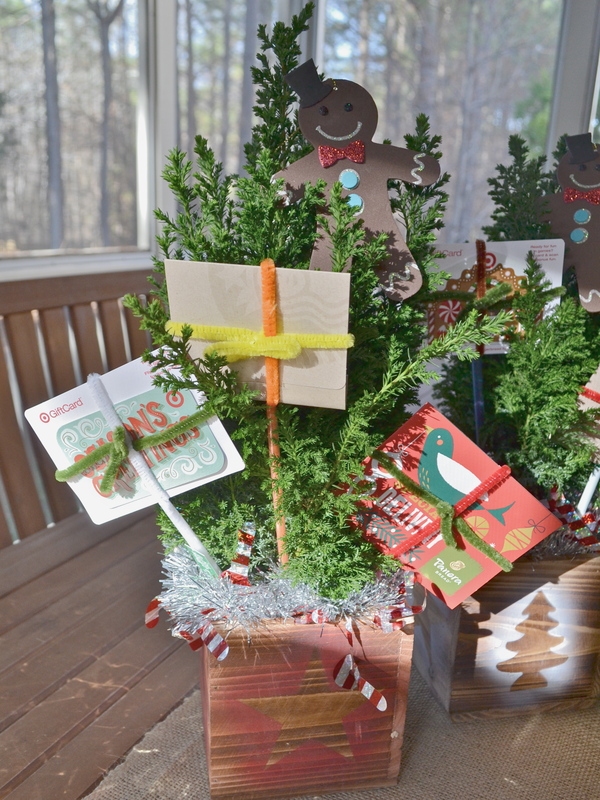 Insert straw in dirt of potted plant; you may wish to cut your straws to create varied heights for the “presents”. Insert your pipe cleaner/gift card into a straw. Step 3. (Optional) Tuck some tree garland around the base and add a few ornaments (we used a foam craft gingerbread ornament which Gemma made at home). 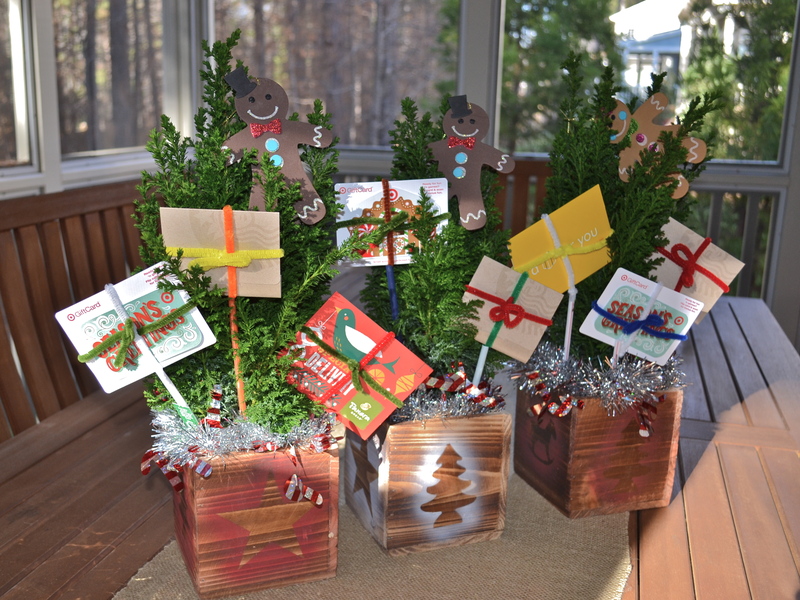 This is a fun way to package gift card presents for anyone on your wish list! !